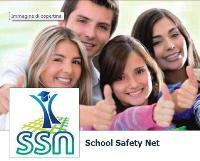 The Final Conference on the School Safety Net Project will take place in Florence on 16 December 2014. The conference aims to present the results achieved by the project and the impact that the project deliverables had in the European countries involved. This event is addressed to teachers, head masters, students and policy makers. Conference is funded by LLP Programme and the participation is free of charge. 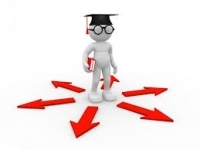 The strategies to solve the case scenarios are available on the project portal below each case scenario. Each strategy point out the correct behaviour of each protagonist of the case scenario. Teachers from different countries are currently involved in the identification of strategies to solve the case scenarios. 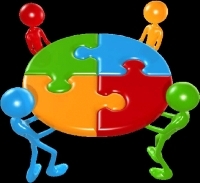 The strategies will be the result of a transnational cooperation based on an asynchronous exchange of opinions and on the participation in virtual meetings to agree on the final version of the strategy. Teachers, headmasters, policy makers, students and parents were asked to assess the School Safety Net project. The testimonials are available on the project portal. A collection of case scenarios on early school leaving is available on the project portal. All case scenarios have been developed on the basis of the real experiences described by the teachers involved in the project and adapting them in order to cover more exemplary and complex challenges that teachers should face at school. Several educational web sites promoted the School Safety Net project through a dedicated link. The complete list of web sites promoting the School Safety Net Portal is available in the section dedicate links of the project web site. The third partners meeting took place in Castelo Branco (PT) on 8 – 9 May 2014. During the meeting the partners presented the guidelines produced and to plan the production of the case scenarios and the related solutions. Teachers participating in the School Safety Net project are currently posting their comments related to the experiences of their colleagues. If you want to participate in the discussion you can contact one of the partner of the project and join the activities. The teachers’ involved in the School Safety Net project shared their experiences in the prevention of early school leaving on the project portal. Teachers can take advantage of methodologies and strategies shared by their colleagues in order to prevent and tackle this phenomenon. Guidelines for policy makers, headmasters, teachers, parents and students on the Students with Learning Difficulties are available on the Portal. Each guideline provide the user with different links to other resources in order to acquire useful skills and competences. Guidelines for policy makers, headmasters, teachers, parents and students on the School Bullying Prevention are available on the Portal. Each guideline provide the user with different links to other resources in order to acquire useful skills and competences. Guidelines for policy makers, headmasters, teachers, parents and students on the Integration of Immigrants Students are available on the Portal. Each guideline provide the user with different links to other resources in order to acquire useful skills and competences. Guidelines for policy makers, headmasters, teachers, parents and students on the Identification of Students at Risk are available on the Portal. Each guideline provide the user with different links to other resources in order to acquire useful skills and competences. The School Safety Net Project was presented in Florence during the award ceremony of the students who obtained their degree of qualification from the new regional system of vocational education and training. The School Safety Net Project has been reported as an initiative in the field of good teaching practices that contribute to innovate and optimize the schools' activities, especially vocational schools, which are working to help reduce early school leaving. More than 150 participants were involved in the event. 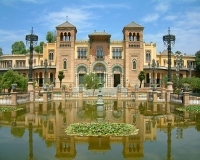 The second partners meeting took place in Seville (ES) on 3 – 4 October 2013. During the meeting the partners presented the success stories collected through the interviews with school directors, teachers, students and parents. During the meeting the strategy and methodology to develop the guidelines were discussed and approved. 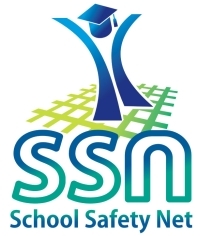 The School Safety Net partnership is now reviewing training and educational sources for headmasters, teachers, students and parents in order provide them with skills and competences to prevent early school leaving due to integration of Immigrant students in the school environment, support to students with learning disabilities and prevention of school bullying. Associated partners are joining the School Safety Net project. 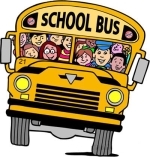 The members are organizations interested in the prevention of the phenomenon of early school leaving. The associated partners have the possibility to exchange of know-how and experience on this topic and develop contacts with other European experts in the field. Rafael López Flores presented the School Safety Net project in Seville University on 27 – 29 May 2013. The event was attended by teachers, psychologists, pedagogues, psychologists and social educators. The project was presented and a special mention to conflict resolution as a significant element in the school coexistence was carried out. The partnership indentified and reviewed more than 100 success stories related to the issue of early school leaving. The success stories present the perspectives of all the main actors involved in the early school leaving issue. These are: headmasters, teachers, students and parents. The School Safety Net 1st Partners’ Meeting took place in Florence, Italy, on 18 and 19 February 2013. During the meeting the project partners presented the schools involved in their countries, focusing the attention on the situation about early school leaving. On 24 – 25 January 2013 the project promoter, attended the Leonardo Da Vinci, Grundtvig, Key Activity 4 projects' meeting organized by the EACEA in Brussels. The meeting was addressed to the coordinators of projects selected for Community funding in 2012. The two-day event has been designed to provide coordinators with detailed information on administrative, technical and financial aspects of the management of their projects and to facilitate networking among participants.